PUMPED UP for the Miami Half This Sunday! 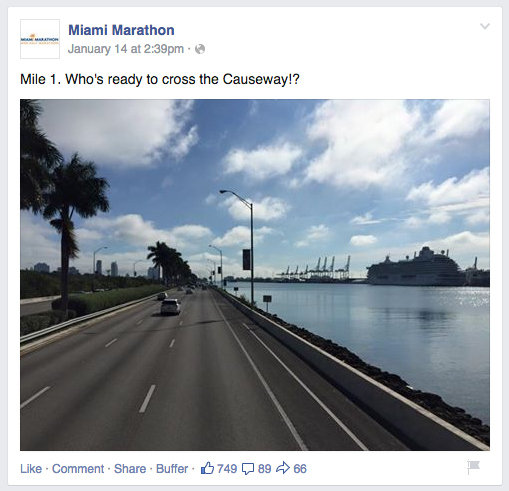 Yesterday I was browsing the Miami Marathon website and THIS 2015 video just got me sooooooooooo PUMPED UP for the race! The medals for this year were just unveiled too and they are stunning! To tell you the truth, up until recently I’ve been feeling a bit unconnected to this race. Not only was I sad that it wouldn’t be a PR attempt, but I knew my training during the holidays wasn’t as strong as it could have been, and to cap it all off my grandfather passed away on Sunday night. He went peacefully at the end of a long, healthy and happy life. The best that any of us can hope for really, but Adam and I will be making an unexpected trip out of town for the funeral. You know what they say about race week… try to relax and don’t do anything out of the ordinary. I’m not sure I have that covered this time! It’s okay though because I know the race on Sunday will be the happy ending to my week. I feel certain of this because running strong can be so many things — stress relieving, cathartic, euphoric, healing. It can be whatever you need it to be, and after the last couple of weeks I really need it to be ALL of those things. A week ago I would have told you I felt unconnected to the race, but now I feel like I have a purpose for it again and am feeling totally plugged in! I’m looking forward to running the causeway. I’ve driven over it so many times and have always thought it would be a great place to run! See the cruise ship there off to the right side? That’s the Port of Miami! Race day weather even looks really good!!!! It’ll be in the 60s at the start and the high for the day is only 75 with clouds. What more can a runner ask for? 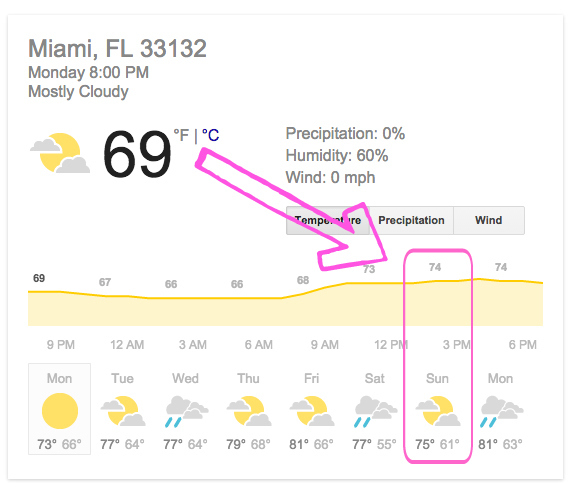 I heard last year it was brutally hot at the end for the middle and back-of-the-pack full marathoners, but this year it will be much nicer for them. I’m planning to stick around for a while at the finish line to cheer everyone on! Previous Post Weekend Running & Stuff! Sorry to hear about your grandfather 🙁 I hope you have some nice family time despite the circumstances and then a wonderful weekend in Miami. I think Miami has the best ribbon designs for the medal 🙂 Oooh cruise… where to? I’m so sorry to hear about your grandpa. I’m glad he had a full, happy life and passed peacefully. You’re going to have a great race this weekend. The medal is seriously gorgeous. Aw, I’m definitely thinking of you during this hard time, but so glad you can channel it all toward the race. I’m so excited for you and can’t wait to read the recap!!!! Sorry to hear about your grandfather…I will keep you in my thoughts. I am not racing again until 2/1 and that is just a fun run so I don’t know if it really counts as a race! But it will be fun and those are the runs that remind me why I do this….no pressure! I love that!! I totally get being connected to a race. It looks like you have plenty of things to make this a special run for you. Sorry about your loss but you are 100% correct, I hope to go peacefully as well. Last thing I’m thinking about is racing lol. I am so sorry to hear about your grandfather, I will keep you and your family in my thoughts and prayers. Isn’t it nice to be able to run and channel some of our feelings? I hope you are able to enjoy the race this weekend–looks like it will be a great day! I don’t have anything on the schedule. I need to fix that! I am excited for you to ‘run famous!’ 😉 Matt and I really enjoyed the Miami race weekend. That’s where Matt did his first full Marathon in 2009! The bling is awesome!! I’m so sorry to hear about your grandfather, and my thoughts are with you and your family. 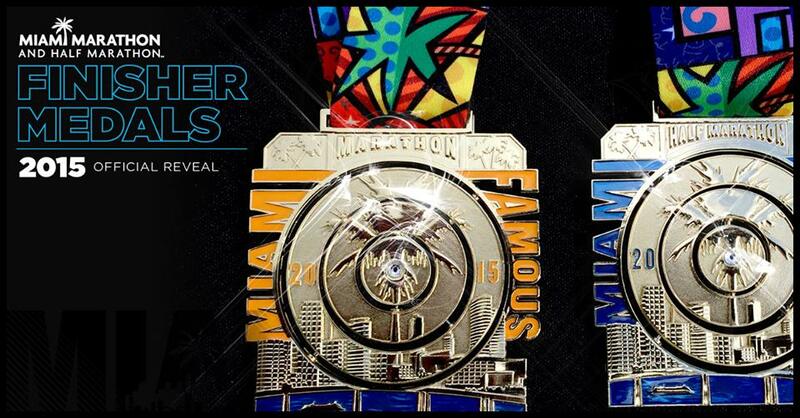 I’m glad to hear that the Miami Half will be a cathartic race and a way to wrap up the week on a happier note. I also look forward to hearing where you’ll be cruising next! Glad you have something to look forward to at the end of the week – you are going to have a great race because you are keeping the pressure off of yourself! 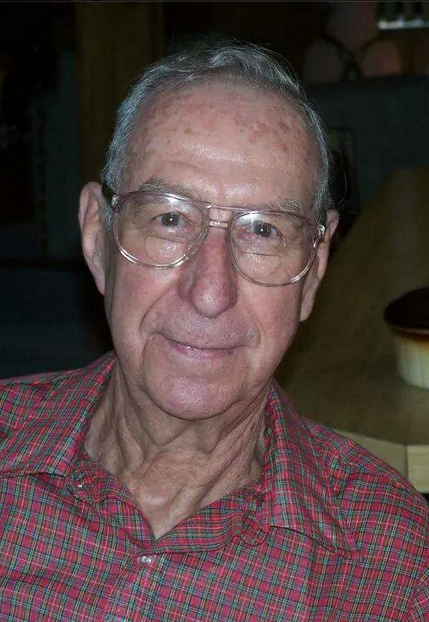 I’m so sorry to hear about your grandfather, but glad to hear that he went peacefully and is now in a better place. I know you are going to have a great race this weekend because now you have another angel that will be with you the whole time! I am so sorry to hear about your grandfather. Losing a loved one is always sad, no matter the circumstance. I’m so sorry for your loss, Kristina. Big hugs to you! Good luck at your race this weekend — those medals are beautiful! Ugh, I am so sorry about your grandpa. 🙁 May he rest in peace. HUGS. I’m glad to see you are keeping your chin up and have a renewed excitement going into this race. I wish I could say the same about my half marathon this weekend. I just can’t get excited about this race! UGH! Sorry for your loss. 🙁 But good luck on the race! I am so sorry to hear about your Grandpa, Kristina! 🙁 How far away will you have to travel for the funeral? Sending positive thoughts your way. And GOOD LUCK at the Miami Half Marathon. THAT is my kind of course. It looks so beautiful. Water and palm trees – what more can you ask for. You will do great! The travel isn’t too bad. My mom lives about 5 hours from Fort. Laud. and then the final resting place is about an hour west of where she is. I’m SO sorry for your loss. 🙁 Best of luck in Miami. No matter what, I’ll be it’s going to be an AMAZING experience! I just got back from a cruise this morning and saw the lane shut down on the causeway for the race!!! Good luck!